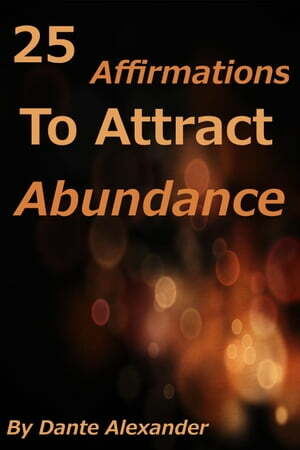 Collins Booksellers - 25 Affirmations To Attract Abundance by Dante Alexander, 9781516333653. Buy this book online. "Imagine a life with no limits..."
Enclosed are 25 powerful affirmations that focus on abundance and prosperity. Affirmations have the power to enrich one's life and can help anyone create the kind of existence that they've always imagined. Affirmations are tools that seems so simple, but if put into action in the right way, they can have an undeniably profound effect. Give them a try. You have nothing to lose and everything to gain.